Trending at AU $92.21eBay determines this price through a machine-learned model of the product's sale prices within the last 90 days. Trending at AU $98.81eBay determines this price through a machine-learned model of the product's sale prices within the last 90 days. 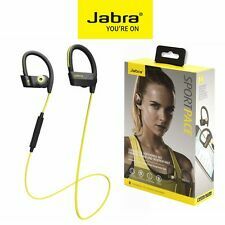 Jabra Step Sweat-Proof Bluetooth Sport Earbud Headphones. (Not under manufacturer Jabra warranty. 1 Year warranty from Poppy9780 is included instead). JABRA Step Headphones. Ear hooks hold earbuds in place securely during vigorous exercises. Trending at AU $42.77eBay determines this price through a machine-learned model of the product's sale prices within the last 90 days. Whether you're out hiking or working out, comfort will likely be one of your first priorities, and the lightweight design of the Jabra Revo provides precisely that. Not under manufacturer Jabra warranty. Rest assured that your confidential information will remain as such, confidential and secured from unauthorized use. We are here to help you with anything. JABRA’S SPORT LIFE™ APP. Free your workout from cables while being energized with rich, inspirational sound. Easy connectivity to your Android or Apple iOS smartphone will give you the wireless freedom that you are looking for. 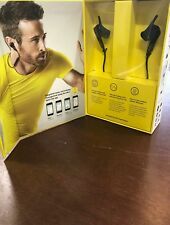 Jabra Sport Pace Wireless Bluetooth Sweat Resistant Premium Sound. - note that these are open box customer returns. These are tested to be on working condition guaranteed. These may not include the replacement earbud tips. If you don't have an account there is no problem. 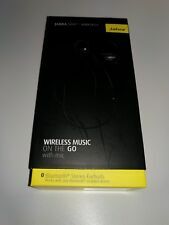 Jabra STEP Wireless Bluetooth Stereo Ear-Hook Headphones Black 100-97000000-0. Great wireless sound that’s tested to withstand life on-the-move - dust and water resistant. Angled earbuds give optimal sound flow with no sound escape. Trending at AU $38.49eBay determines this price through a machine-learned model of the product's sale prices within the last 90 days. Kinlan wireless stereo earbuds. 8 hours of playback time, microphone Condition is New. Shipped with USPS First Class Package. •Model: Jabra Step. Great sound: Get all of your music. Designed for life on-the-move: Step’s earbuds are so light and comfortable, you’ll forget they’re there. Soft, flexible GelHooks™ and a choice of three types of EarGels™ ensure they fit naturally and securely in your ear. Trade up to wireless with great-sounding earbuds. Built to withstand life on-the-go. Hit your fitness targets with the Jabra Sport Wireless . Unbeatable sound and no wires to hold you back. 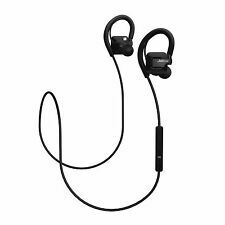 Jabra Sport Wireless is built towards US Military rain, shock, sand, and dust standards, so it’s sure to withstand even the most intensive workouts. Secure cord-free wearing style with one or both earbuds. Compatible with Apple iOS and Android smartphones. 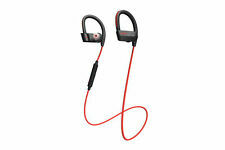 Advanced personalized fitness (integrated Jabra Sport LifeTM app). Customized music sound with Personalized EQ (via Jabra Sport Life app). Quick start guide. Noise blackout: dual microphone technology reduces background noise ; HD voice for high definition sound quality. Australia, Belgium, Canada, Finland, France, Germany, Great Britain and Northern Ireland, Hungary, Malaysia, Netherlands, New Zealand, Norway, Singapore, Spain, Switzerland, Turkey. Trending at AU $44.70eBay determines this price through a machine-learned model of the product's sale prices within the last 90 days. WE DESCRIBE AS BEST WE CAN. The item you see is the actual item you are buying, unless there are multiples for sale. Further, old plastic tends to get brittle & especially withTOYS, can break easy under 'typical' use. 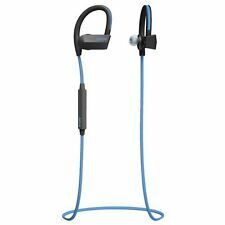 Jabra STEP Black Ear-Hook Headset Wireless Bluetooth Stereo Music Sport Earbuds. Includes the headset, micro USB cable, small eartips and the manual. Condition is Used in mint condition. Shipped with USPS First Class Package. 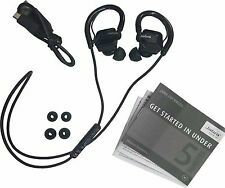 Jabra Step Wireless Dust & Water Resistant Bluetooth Stereo Earbuds 100-97000000-02. Angled earbuds give optimal sound flow. Great wireless sound for life on-the-move. Dust and water resistant. Lightly Used in great condition including the accessories ,tested works great. 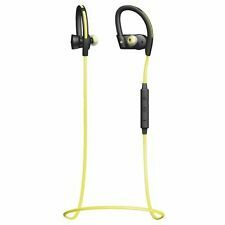 Jabra Sport Pulse In-Ear Only Wireless Bluetooth Headphones Black/Yellow . All photos are of our worst conditioned item in a lot. All of the units accessories are included! This is an incomplete product that has been inspected to be fully functional and may show signs of use. No ear-gels included. Our main warehouse is located right outside of Baltimore, Maryland. Sound Systems.